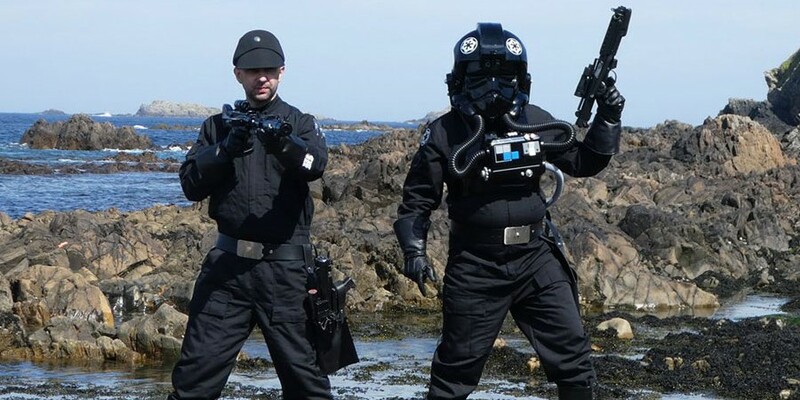 Emerald Garrison members, David Brown & Gareth M Scott, 'Bad Guys Doing Good' patrol the coastline at Ineuran Bay with Inishowen Tourism staff. Read the full article on the 'visit inishowen' website here. Star Wars and all associated items are the intellectual property of Lucasfilm Ltd. © & ™ Lucasfilm Ltd. All rights reserved.